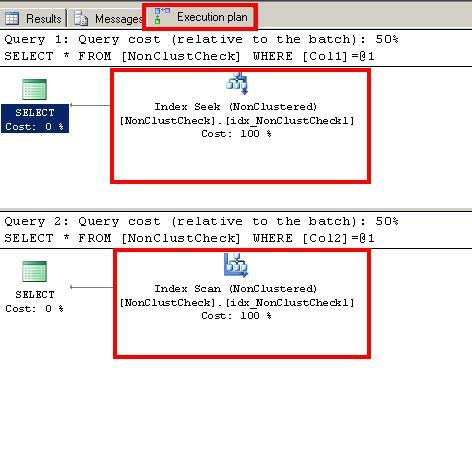 My previous article was based on “Nonclustered Index” and this article focuses on “Included Column” feature ofIndex which was introduced in SQL Server 2005 and still there in newer version. As long as architecture of “Included Column” concerns,whatever columns you have defined under “Include” clause under the index, thosewill be stored on the Leaf pages, it won’t get stored on the Root page orIntermediate page of the index. Now, let us talk little bit about the benefit we are goingto get out of this feature. The main feature is that, the columns you have under “Include”clause of “Create Index” statement would not affect the size of the index.Index has limitation that you can have it on maximum of 16 column / 900 bytes. Sono matter how big columns you are going to use in your “Include”, you will getbenefit for sure. You should keep those columns in “Include” clause whichgenerally comes under “SELECT” clause and not being used much in “WHERE”, “GROUPBY” or “ON” clause of “JOIN”. We are going to create one table with big column size andwill try to create Non Clustered Index on that. –create dummytable and see whether we are able to create index on that or not. –Index ‘idx_NonClustCheck’ was not created. This index has akey length of at least 910 bytes. –The maximum permissible key length is 900 bytes. we finally we have created non clustered index with one keycolumn (Col1) and two included column (Col2 and Col3). Let us check whetherthis index gets scan or seek or optimizer decides not to use this. –even justwanted to see whether Non clustered index is having any effect or not. 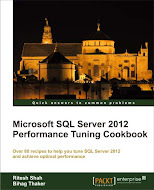 — Ctrl + M andthan F5 to run query with execution plan. –even you cansee that our non clustered index is getting SCAN. Hope this will be helpful to you. Do drop comments; it willencourage me for sure. 2.) ClusteredIndex stores actual row data in the leaf level and nonclustered index wouldstores only those columns which are included in nonclustered index and pointerto the actual row which may be in clustered index or in heap (know more aboutleaf, heap, RID etc. from here). Like clustered index, you can have one or multiple columnsdefined in Nonclustered Index too. Order of the column defined in Nonclusteredplays an important role to meet Index seek, as I told you in previous articletoo that Index seek is good than Index Scan, so one should try to meet up Indexseek as long as possible. We are going to use same database and “Orders” table definedin previous article “ClusteredIndex in SQL Server”. You will see your nonClustered Index Seek in your executionplan. There are few more indexes under the same category likeINCLUDE columns, Filtered Index, Covering Index which we will be exploring verysoon.